Hailing from semiarid climates across the globe, fenugreek tea offers a rich flavorful taste and a very distinct sweet aroma. Various parts of the plant are used in Indian, Turkish and Egyptian cuisine, while the seeds of the fenugreek plant are used to make medicine such as steroids from the component diosgenin. The leaves of the plant can also be used to create an herbal tea that’s packed with essential vitamins and minerals. What Benefits Does Fenugreek Tea Offer? Controlling diabetes (Early research shows that consuming fenugreek during a meal helps lower blood sugar, according to WebMD). 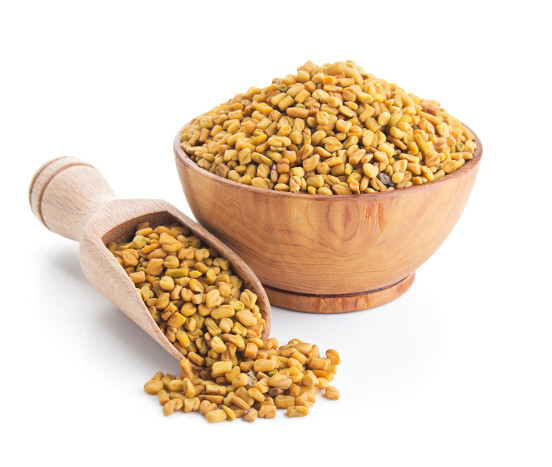 Individuals who are sensitive to fenugreek can experience nasal congestion, coughing, wheezing, facial swelling, and a severe allergic reaction in rare cases. As fenugreek is used to lower blood sugar, people with diabetes should be cautious when using the herb and begin with small amounts to accurately gage the side effects. Furthermore, fenugreek interacts with antidiabetes medications and may slow blood clotting. Making fenugreek tea is a fairly straightforward and fun process. There’s no need for fancy equipment or a great deal of know-how. Feel free to play with the recipe and add additional favorite loose leaf herbs. First, crush the fenugreek seeds fairly well. Traditionally, a mortar and pestle were commonly used but any crushing tool will suffice. Some people simply use the flat blade of a large knife on a cutting board. Next, measure the correct amount of crushed seeds. Boil the appropriate amount of water in a kettle. When the water is boiling, simply add the seeds and allow them to steep for a minimum of four minutes. When adding the seeds, add additional loose leaf herbs to taste, although this isn’t necessary, as fenugreek tea is delicious without any additives. When the seeds have steeped, simply pour the rich liquid through a strainer and enjoy. While fenugreek is a mainstay in many cultures, it is fairly new to the West. First, look for premade teas at local health food stores. If this proves fruitless, seek out markets that specialize in Indian, Egyptian, Asian and Turkish cuisine. Most often, fenugreek seeds are found in the spice or tea section. A search online should also yield positive results. Simply look for organic whole fenugreek seeds, as crushing changes the chemical makeup of the seeds and reduces the benefits of consuming the tea. Fenugreek tea is a healthy herbal addition to most diets, containing antioxidants to fight free radicals and amino acids that control insulin production when blood sugar levels are high. Some studies show that fenugreek can even help protect the body against colon cancer and be used as a soothing poultice for aching muscles. 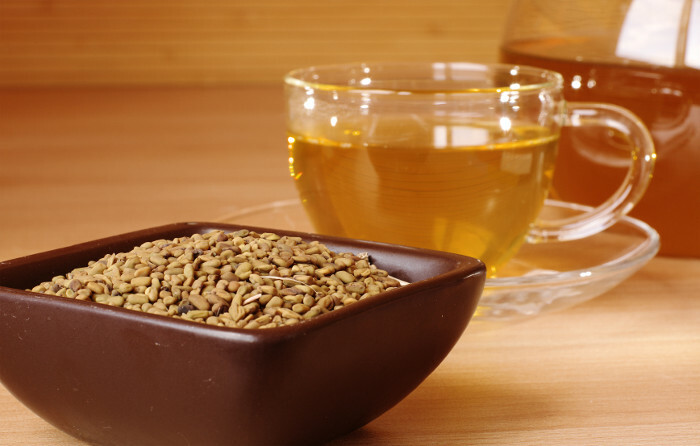 Overall, the benefits of having a daily cup of fenugreek tea are many.